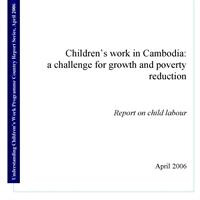 The Country Report series provides overviews of child labour, youth employment and related issues in specific national contexts. 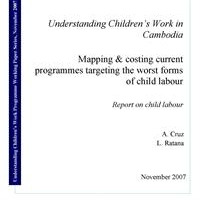 The reports help in creating a common knowledge base on these issues and in informing policy responses to them. They are the product of a collaborative effort involving Government, local stakeholders and researchers, the three UCW partner agencies and the UCW Secretariat. 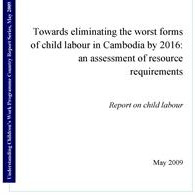 The Reports posted below are final drafts: final publications are normally taken care by a partner agency or the Government and they vary somewhat from country to country. Thematic background research papers by national counterparts, also posted below, feed into the development of the Country Reports.